Cossery’s heroes are the descendants of Baudelaire’s flâneur, of the Surrealists with their rejection of the sacrosanct work ethic, not to mention the peripatetic Beats or the countercultural ‘dropouts’ of the 1960s. 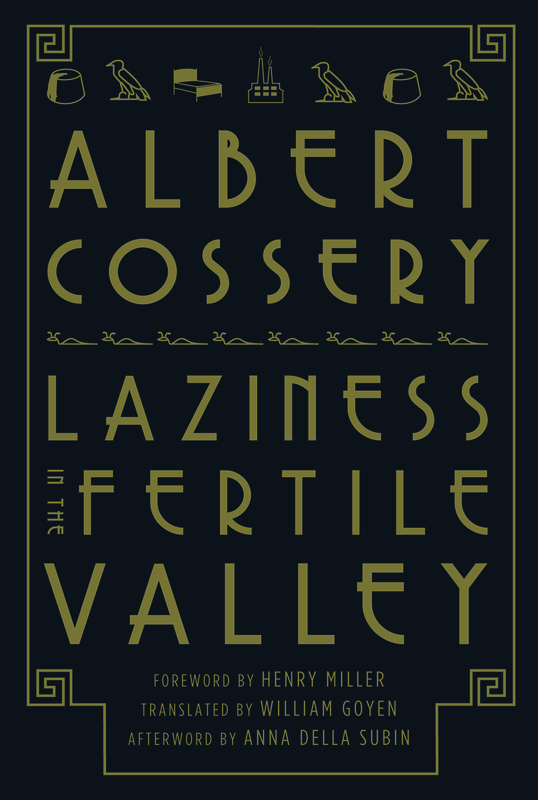 Laziness in the Fertile Valley is Albert Cossery’s biting social satire about a father, his three sons, and their uncle — slackers one and all. One brother has been sleeping for almost seven years, waking only to use the bathroom and eat a meal. Another savagely defends the household from women. Serag, the youngest, is the only member of the family interested in getting a job. But even he — try as he might — has a hard time resisting the call of laziness. Read a section of the afterword by Anna Della Subin at Bookforum. Albert Cossery was the bard of absolute indolence, and as you nod off with a smile over Laziness in the Fertile Valley, you may wonder if there’s any point to waking up – except, of course, to read a few more pages. Despite the seemingly unrelieved gloom and futility in which his figures move, Cossery nevertheless expresses in every work the indomitable faith in the power of people to throw off the yoke.